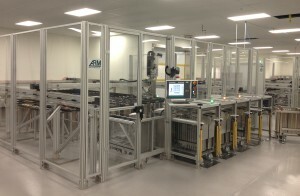 A leading manufacturer medical consumables tasked ARM Automation with developing a series of high speed Automated Storage and Retrieval System for handling of sterilization magazines within its production operations. 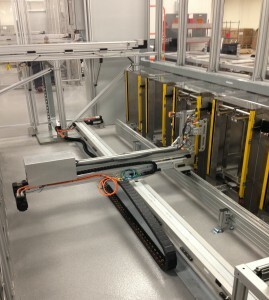 Rather than build upon previous designs the customer had in place which involved complex and large footprint equipment to extract magazines from carts per the original system specification, ARM elected to approach the problem with a fresh perspective. 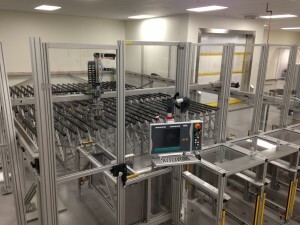 Previous ASRS units at other facilities had extracted magazine carrier sub-frames from each cart, then used separate a conveyance system to extract magazines in bulk from the sub-frame. This substantially complicated the system and required much more material handling equipment as well as limited the operator to inputting or unloading one cart at a time. 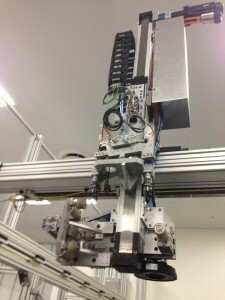 By rethinking the challenge and developing a telescoping 3 axis robot and intelligent gripper system to “find and capture” magazines directly from the cart, ARM was able to shave significant size and cost from the customer’s original design concept. 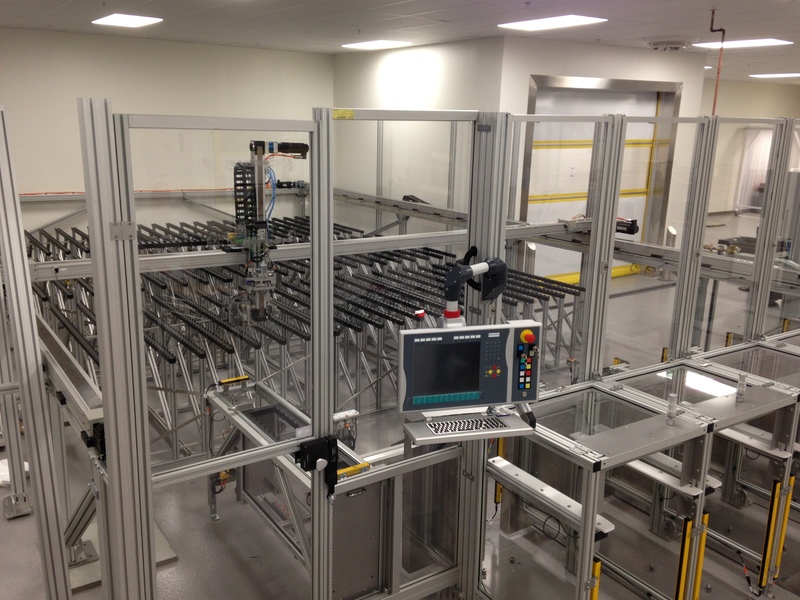 Previous ASRS systems used for this purpose had relied on precise calibration and very stout robot mechanisms which could maintain the global accuracy over the large storage array area needed to effect blind pick and place. 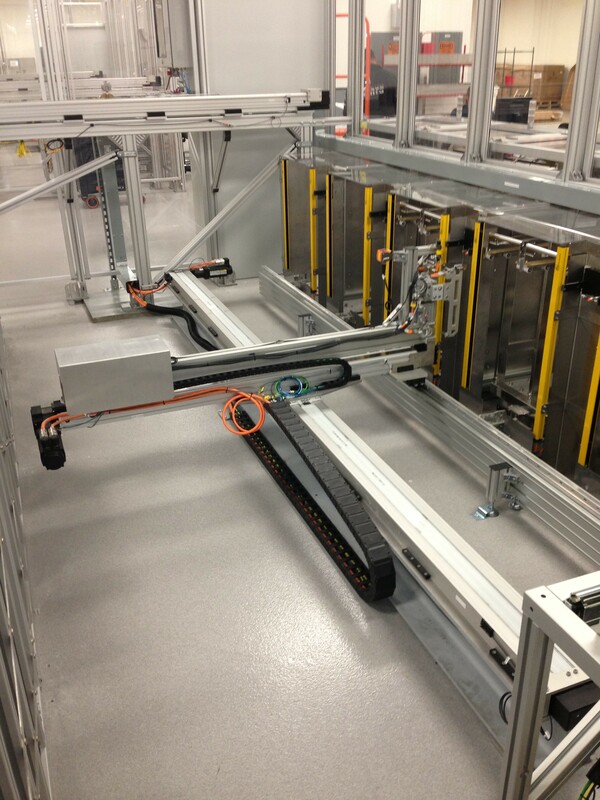 Unfortunately, this new installation was to be located on a raised floor which would require substantial additional structure to provide necessary stiffness and precision. In lieu of the traditional approach to accuracy, ARM elected to propose an intelligent system which a layered sensor and vision based approach to self-alignment and error compensation in multiple axes. 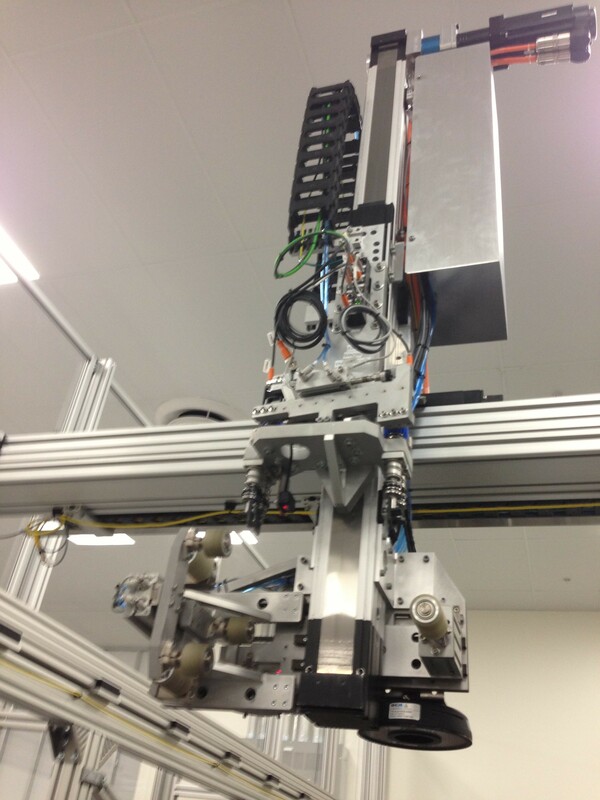 This change to a less “brute force” approach allowed for a significantly lighter overall design as well as making the system more tolerant to drift or variances in product and system calibration. 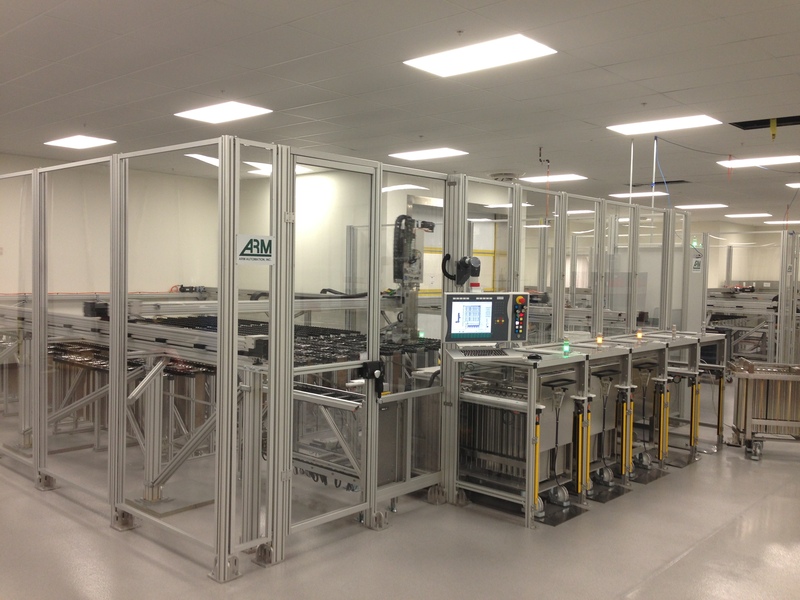 By taking the time to step back and giving fresh consideration to the driving constraints and technical options available, ARM Automation was able to provide a smaller, more robust and more cost effective system than the customer ever expected. It is this kind of thoughtful up-front analysis, problem solving and solid execution that combine to produce successful projects which surpass convention and provide maximum returns to our customers.